They are beautiful most places, but we like to think that Oregon has some of the best sunrises and sunsets. Today's featured photographers made use of the light to create beautiful silhouettes. The lovely weather the past day or two has gotten us inspired by some of the sports-related photographs in our collection. Timothy Bullard, photo editor at the Daily Courier, filmed a video that will let you enjoy a summer day on the Rogue River with Gary Berlant, a Grants Pass public defender and musician. In the video, Gary strong arms his way through rapids while playing his harmonica. It has been a cold few days here in Oregon, so this week we're sharing a video by photojournalist Steve Kaufmann that reminds us of the warm summer day that was July 15th. 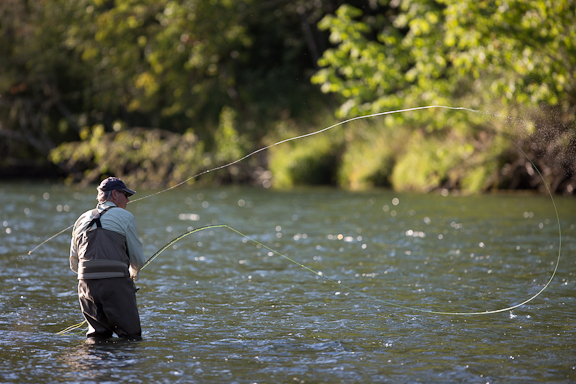 Take a peek, and relive a day on the Deschutes.